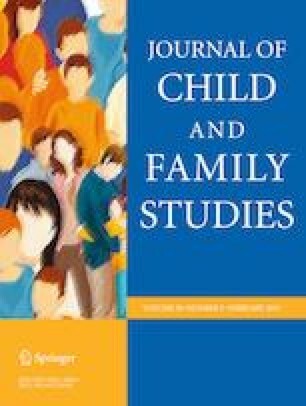 The current study aimed to examine the role of parent-child relationships during adolescence as a mediator between earlier parental divorce and children's romantic relationships in emerging adulthood. In addition, the study aimed to examine how this proposed mediation model would work differently among the four dyads of parent-child based on their gender (e.g., father-daughter vs. mother-son). The data for this study came from a 22-year 9-wave investigated longitudinal study, which began when the participants were in the sixth grade. The study was designed to investigate transitions during adolescence and young adulthood. Analyses for the current study were based on waves 6 and 8. At Wave 6, participants were in 12th grade and at Wave 8, participants were approximately 24 years old. The sample for the current study was 520 (female = 311 and male = 209) from 'always-married' and 154 (female = 107 and male = 47) from 'divorced' families. In order to examine the mediation model for each female and male adolescents, multi-group confirmatory factor analysis (MGCFA) was tested using Structural Equation Modeling (SEM) - LISREL Version 8.80. The results showed that there was no overall direct mediation model; however, the mediation model worked differently for the four dyads of parent-child. For example, it was found that there was an indirect effect of parental divorce through relationships with fathers on daughters' romantic relationships but not for sons. Implications, limitations, and future research recommendations are discussed. The online version of this article ( https://doi.org/10.1007/s10826-018-1284-0) contains supplementary material, which is available to authorized users. This paper is from the author's dissertation which can be accessed from http://arizona.openrepository.com/arizona/bitstream/10150/193790/1/azu_etd_2260_sip1_m.pdf. All procedures performed in study involving human participants were in accordance with the ethical standard of the institutional and/or national research committee and with the 1964 Helsinki-declaration and its later amendments or comparable ethical standard. IRB for the study was approved by the University of Arizona.